What can be a better way to get to know Spanish life than experience the real spirit and traditions of different regions of Spain? Let’s move to the north of the country and check out the celebration called La Patum! La Patum which is also known as Patum de Berga is the annual celebration which takes place each year during the Corpus Christi in Berga, the small Catalonian village around 100 km away from Barcelona. The celebration dates all the way back to the middle ages which make it be one of the most important celebrations in Spain. In 2005 the celebration was announced as an oral and intangible heritage of Humanity by UNESCO. La Patum is a festival which lasts 5 days during which different dances, mythical figures, music, drums, and pyrotechnics are used as main attributes of the celebration. Wednesday during the week of the Patum is used as an invitation to celebrated the fiesta. Mythical figures called Gigantes are walking around and dance in the city in this way creating the waiting of La Patum even more exciting. During the days of La Patum, the several acts of mythological creatures take place at the square called Placa Sant Pere. Different struggles are expressed through dances of mythical and symbolic figures such as Christians wars against Arabs, as well as Saint Michael and angels, fight against Lucifer and devils. 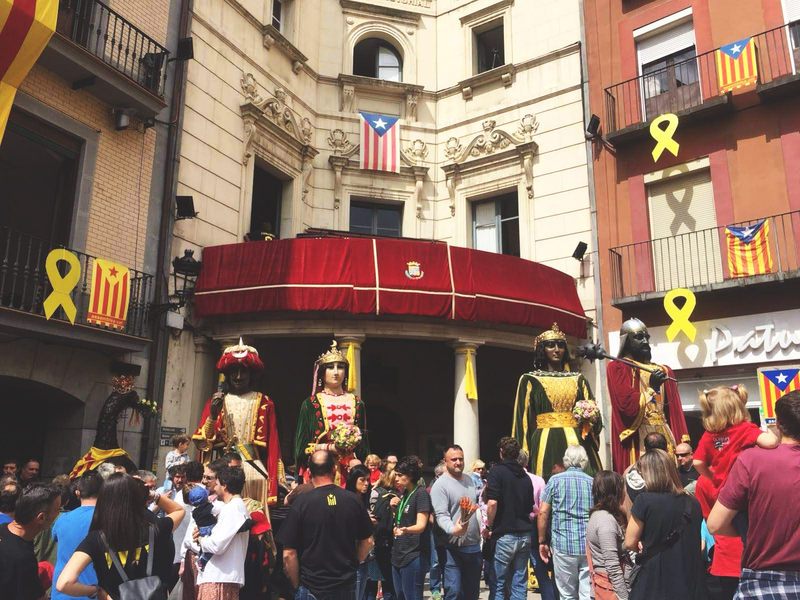 The main actuation is held by the Eagle locally called L’Àliga which present Berga’s satisfaction for having finished with the feudal dominion and coming to depend directly and exclusively on the king. Thursday which is the day of the Corpus own is all about the full celebration with pyrotechnics during the night. 100 of people dressed in special costumes and masks with the fireworks on their heads enter to the square and dance around with the rest of the participants until the last firework explodes. Same rituals are performed on Sunday of La Patum in this way allowing everyone to take part in it. Friday is dedicated to the kids. This day adapted celebration involves the little ones helps them to experience and to start building the sense of La Patum. Saturday is more about rewards and honoring of the administrators of the celebration. Do you think you are able to spend hours at the little square surrounded by a lot of people, mythical creatures, dancing, celebrating and shooting fire? If so be prepared to level up your adrenaline!